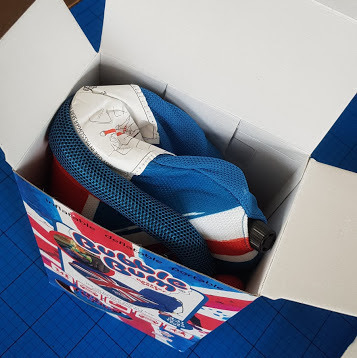 Inside the box is the booster seat itself, a shoulder belt strap for smaller children and a carry bag for the seat when it's not inflated. There is also a link to a free downloadable app. to keep your children busy on journeys. 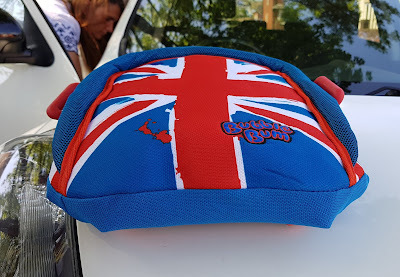 Perfectly timed for the World Cup and the Royal Wedding, we have been sent the new Union Jack Edition seat. 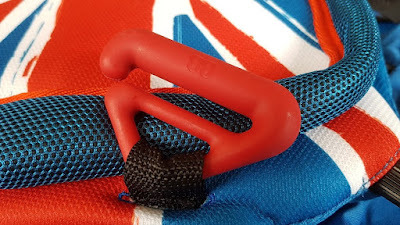 The stretchy travel bag is a great addition and will protect your seat from superficial damage and dirt, as well as keeping it folded up when not in use. The seat itself has a large red clip on the left and right sides, which hold the vehicle belt in the right place over your child's lap, and secure the seat into place too. Your child can easily clip this themselves in a second. The vehicle belt shoulder strap should sit nicely on the shoulder as shown in the instructions. If your child is still small, they'll need the included (easily attached) strap to clip onto the shoulder part of the belt. All of the inflating/deflating and sealing is done via a special valve on the side of the seat. This twists to open and close and is large enough that actually around 1-2 good puffs fills the seat. Inflating and deflating is ridiculously quick and much easier than I anticipated. Once inflated the seat is quite firm, and you might assume it is polystyrene rather than a balloon. 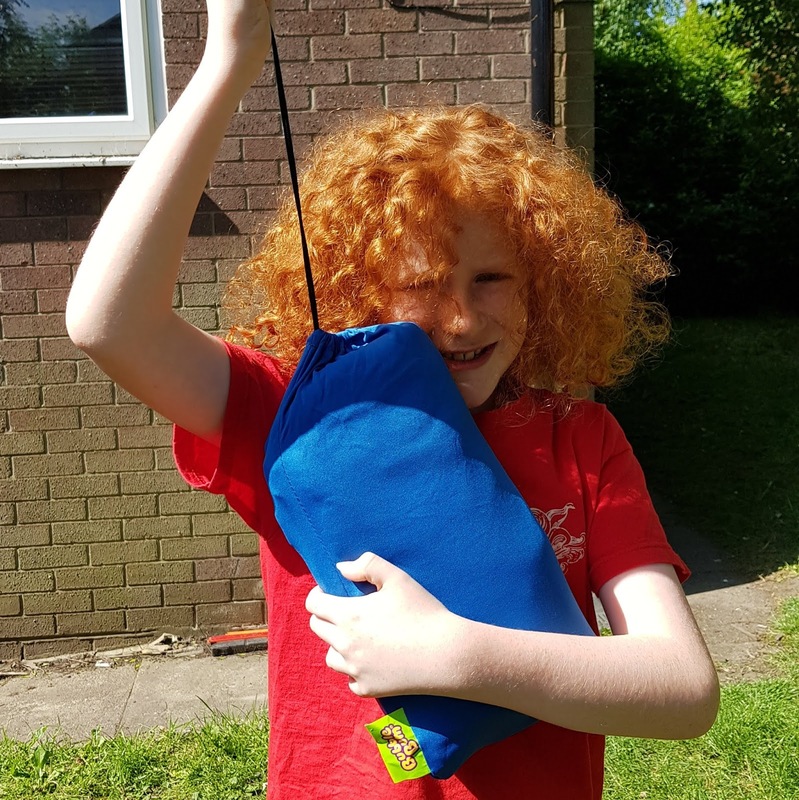 The 'bubble' plastic material is really thick and has a memory foam component which means it tries to puff into shape as soon as you let go. The cover is made from good quality materials which are soft and comfortable for a child who may be wearing shorts or sleeping through a 4 hour journey in sunshine. 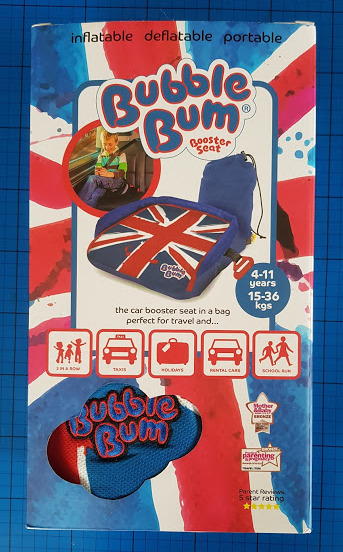 My 9 year old tested it out, and he's very happy with the BubbleBum, saying it is more comfortable than his current plastic booster seat. His natural position is 'reclined' and quite slouchy. 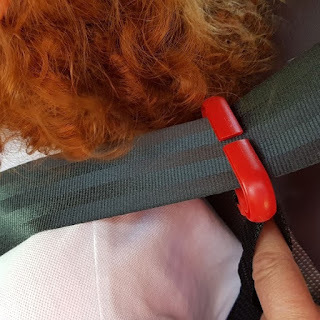 With an adult belt the child can slouch, moving their hips forward and then the lap belt can ride up the body and crush your child's soft tummy in a crash, even at low speed. 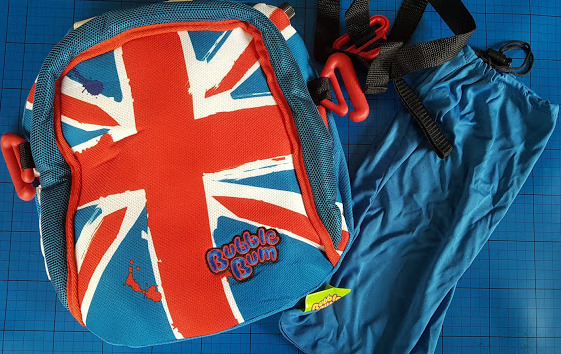 The BubbleBum holds the child and the straps correctly. 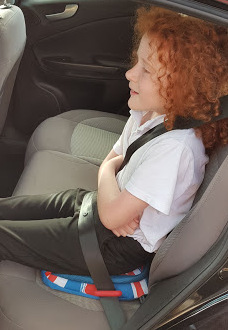 My son is tall enough to manage without the additional shoulder strap in this car, but I've shown it here because in our van the backrest is higher and it is useful. 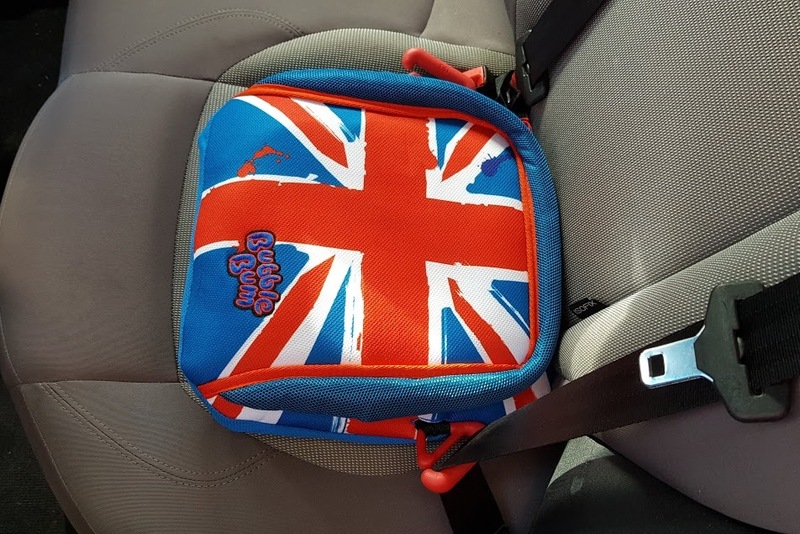 It should clip around 2cm above the child's shoulder (see the ROSPA website for general advice regarding fitting child car seats). I'm impressed. I was a little sceptical before, but having tested it, I have full confidence in this as a safety device for my child. I honestly imagined a 'balloon' rather than a really sturdy piece of equipment. The BubbleBum valve works really well and there's so much density to the seat that you do feel confident of it's strength. 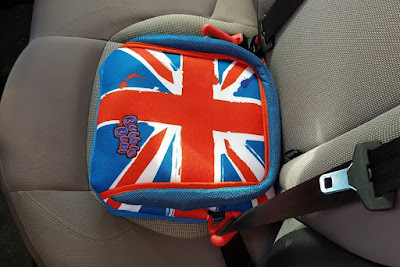 It holds my child in the right place in our vehicle and is ridiculously easy to use. 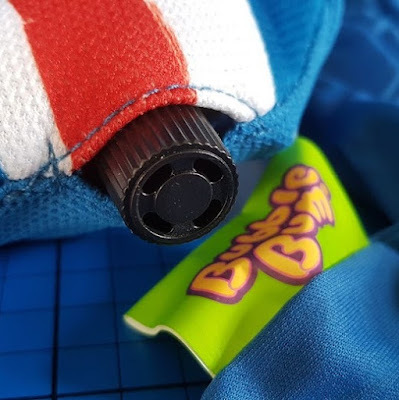 BubbleBum Inflatable Booster Seats are available now from the BubbleBum website, where you can also find out more and see the whole range. Rrp £29.99 with free UK delivery and returns. BubbleBum have kindly offered a BubbleBum Car Booster Seat for one of my readers. Entry to the giveaway is by Gleam form below. Your details will only be used for entry to this giveaway, once a winner has been chosen, verified and notified the form will be discarded. 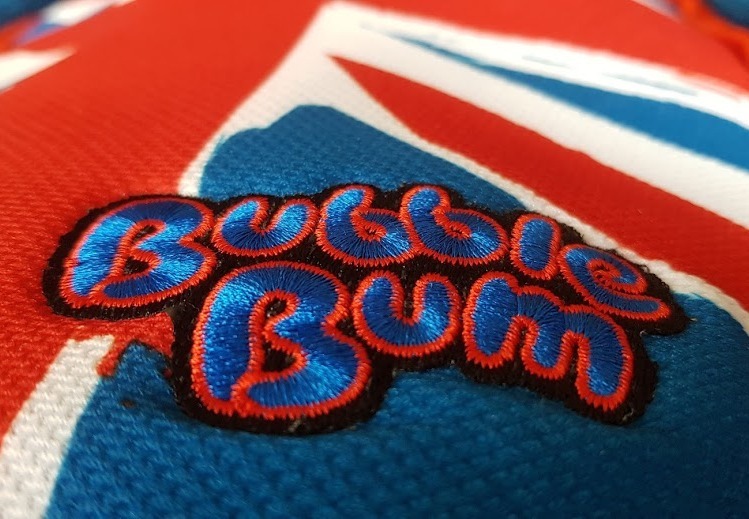 The winner's details will be passed on to BubbleBum in-house PR to arrange delivery of your prize. The giveaway is open to UK entrants only and will close at midnight Sunday 15th July 2018 when a winner will be drawn at random. Full terms and conditions at the bottom of the Gleam form, open to UK entrants only. We were sent our BubbleBum for review and paid for the time taken to administer the giveaway. It helps keep The Brick Castle running. I would make sure I had wipes, snacks and a drink. I think we'd be touring the South of France! A book, some snacks and his tablet. I'd make sure we had snacks, colouring books and games and we'd probably be touring the west coast of America. I would love to tour the Lake District. I would take antiseptic wipes, various drinks and the children's tablets for entertainment. I'm not a lover of coach travel but I would like to take the three grandsons to France sometime, when number 3 is a bit older. We'd definitely have wet wipes, snacks and games to keep them entertained. I think we'd be going to Legoland Windsor, they really want to go there! wet wipes, snacks drinks and a smart phone with loads of data. wed go to the seaside and id make sure to pack snacks/drinks to keep them full, travel hungry hippos and baby wipes to keep them clean! I would take, snacks, books and pens. Scotland:- Aberdeen and surrounding areas. Would ensure we had snacks, refreshments and baby wipes. We would be touring London and seeing all the important landmarks and I would take wipes , food and drink!